I'm calling this part 2 simply because I used my Super Cash that I got from my previous haul. If you read that post, you'll know I was originally planning on getting a specific bathing suit that caught my eye. But then I read the reviews and saw that it wasn't lined and didn't provide much support to us girls with bigger chests. This gal right here needs that support! So my bathing suit search continues! I'm not complaining too much because all four of these items came close to the total that the suit woud have been. I did not want my Super Cash to go to waste, so I found some real winners that I thought I would share. They are all still available on the website and stores (minus the plus-size options, as those are online only). 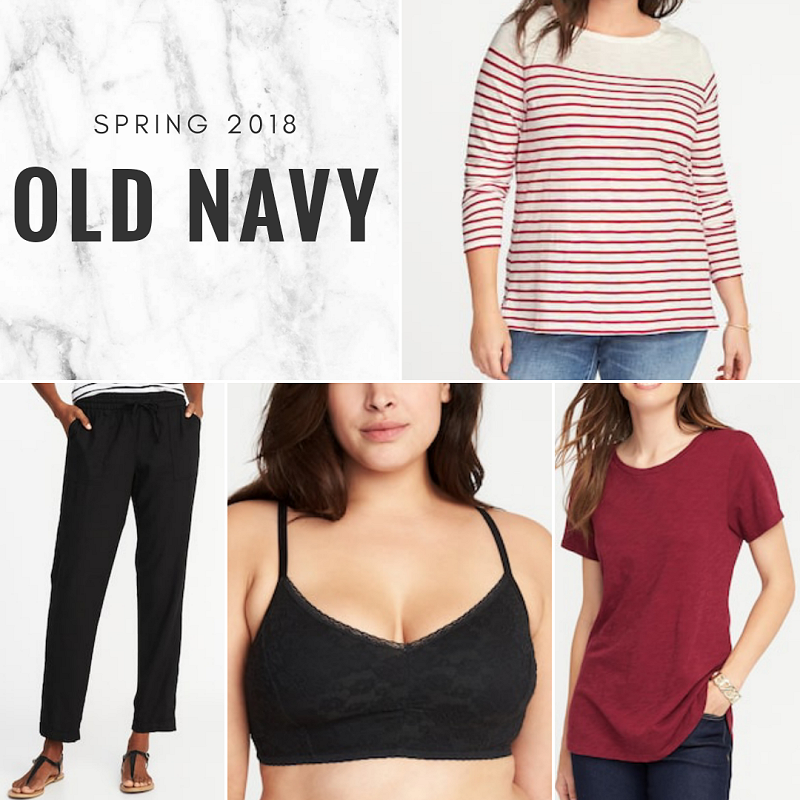 If you're like me and are at the crossover size where you can shop both sections, then you can find everything below! Mid- Rise Linen-Blend Cropped Pants - Plus version, which is pretty sold out at the moment. These have such high ratings and with good reasons. They are so light and comfortable! I can't wait to bust these out at the year's first cookout. I wouldn't say they are very cropped. At least not on me. I'm 5' 9", got the regular inseam, and they still meet at my ankles just like the picture above. Lace Cami Bralette - I can't say no to bralettes. This specific one has a nice lining at the front and it really does feel supportive with the band below. Mariner Stripe Boat-Neck Tee - You can find these in non-plus sizes, as well. I'm so happy I put this in my cart. It's soft and has a heathered look to the fabric. But it also fits just right and I think this would be flattering on a lot of body types. EveryWear Slub-Knit Tee - Plus version. I got the tall version because I like my everyday tees to be a little on the longer side. Well, that and the fact that I am actually tall. This passes the arm raise test! It's on the looser side and doesn't cling. And the color is going to be great for all four seasons, so I'm down with that. Have you bought anything at Old Navy recently or use your Super Cash? I can't wait to see more of their summer line pop up, because I was gaga over the spring selection!